Sarah Dalton is one of my favourite authors for a reason. I have never once failed to be seriously impressed by what I've read. All of her books have made me stop and think, and White Hart is no exception. Even if I hadn't known the author - it's a certainty that I will pick up anything by Sarah Dalton - that cover would have compelled me to read it. Have you ever seen anything so gorgeous? I wasn't sure whether I liked Mae at first. In fact, I'm not altogether sure that I like her now. But she is a wonderful character who changes so much between the pages. She experiences such hardship and she makes such difficult decisions that I couldn't help but grow to love her and her quirky ways. I also loved Prince Casimir. He was much more complex than your first impressions of him would have you believe. But my, is he blind! Open your eyes, Cas! Even Sasha could see what was right in front of you. Speaking of Sasha, I liked her. I liked her honesty and her fear and how she helped Mae and Casimir on their quest, even though they treated her badly. I couldn't stand Ellen. What a total... Nasty, selfish person. I almost feel like she deserves to be with Lyndon, another nasty piece of work. I liked how the Nix stirred things up and sowed doubts in Mae's mind. It threw her into even greater turmoil. Here she is, trying to deal with everything that's been lumped upon her, her powers and responsibilities and then this creature of evil comes along and jumbles everything up and makes every decision so much harder. But that ending... I want to read more about Mae and her White Hart and Prince Casimir and even Ellen. The ending is so shocking, so abrupt... At first I thought it was going to be happily-ever-after. Not for Mae, but perhaps for Casimir and the realm. But then those last paragraphs... I read the last chapter multiple times, trying to digest it. Really?! I need more now! It was such an unexpected turn of events. Come back on 7 March for an article all about that gorgeous cover. In the mean time, why not head on over to Sarah Dalton's own website, where you can find links to others taking part in the Blitz, more about all of her wonderful books, and read some pretty interesting posts from the author herself. Below is an excerpt from near the beginning of the book, which I think sets the tone perfectly for the rest of the book. “I thought the whole point was to make sure the prince wouldn't want me,” I reply, shooting him a glance. “Are you complaining, Mae? You've wanted nothing more than to avoid Ellen’s fate. Ever since…” He trails off. I like the sound of that. As I shovel down the rabbit stew, my shoulders lighten. For years we've worried about my powers. We know little about craft and the craft-born, except that the magic within me seems to allow me to call on nature. I don’t know why it makes me powerful or how it would benefit the realm, I just know that I don’t want to be a princess and I never have. I can’t think of anything worse than flouncing about in fancy dresses, cooped up in the Red Palace forever, forced into marrying someone I don’t even know. I certainly don’t want to use my powers to help the king become even richer. But there is something in me that longs to find out more about the powers within me. Sometimes I fantasise about disappearing from Halts-Walden and travelling Aegunlund in search of answers. I want to be in the woods with the birds and the butterflies. I want to climb trees and ride Anta 'til my arse-cheeks are sore. I don’t know why I'm craft-born, and I don’t really care. All I know is whatever the reason, it has to be more than sitting pretty on a throne. There must be more to life. There has to be freedom and adventure in this world. I want to find it. 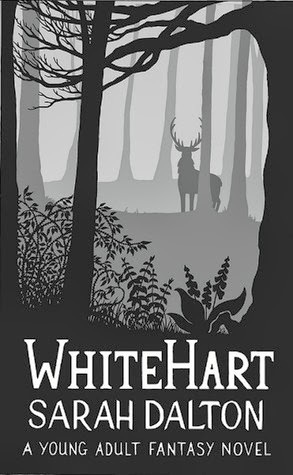 White Hart is FREE this week only with code RW100 on Smashwords. So, this is a pretty awesome giveaway. Look at all the goodies! 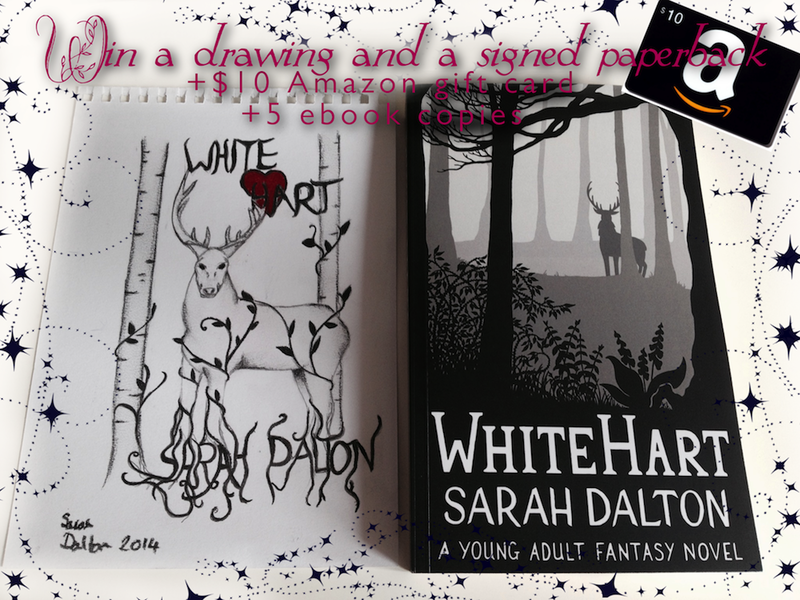 This giveaway is running as part of the Book Blitz. Ahh, this looks great in paperback!